I don't know about I'd given up any hopes on an Indian Summer & instead I've been focusing on all the stunning new season stock pouring into store & loving the thought of snuggling up in knitwear come the cooler months. Of course when we're in the depths of winter this won't seem so appealing & I'll be longing to feel the warmth of the sun but for now snuggly knits & layers seem like bliss. Now I've been lucky enough to have been contacted by Boden & asked if I'd like to review a couple of pieces from their current collection. So with winter days in mind & thinking about what Boden do best - quality wardrobe staples that are not only beautifully made but fantastic wardrobe staples, I thought I'd share with you my edit of their top 15 wardrobe classics that not only you could bring out every year but are great multi-taskers too. Plus seeing as today they've just increased their current discount to 25% off plus free delivery & returns I thought it perfect timing to share my picks! Starting with this stunning denim shirt dress. I just love the shape & style, which would be perfect for layering wtih a gilet, coatigan or even your winter coat as shown below. Team with some thermal opaque tights & this would be a great wardrobe staple that could also be worn in Spring too. Okay so this next top isn't exactly going to be warm but oh my how stunning is this for a night out. I just love all tops that are wrap styled as to me they feel quite special to wear & the beauty of this one from Boden is that you haven't got any ties to add bulk at the sides. I just love this berry colour but it you're after a more neutral colour then it also comes in black, navy & ivory too. Another classic wardrobe staple that's perfect for layering & I've previously featured on the blog is the boyfriend shirt. Available in this lovely shade of blue as well as white & pink. 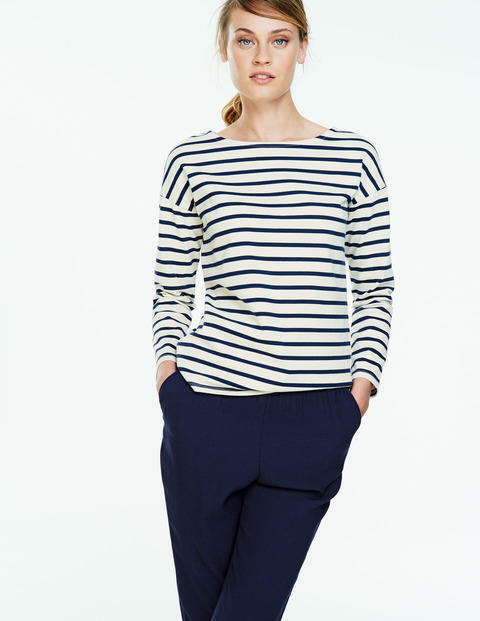 Naturally a breton is a fab multi-tasking layering number & this one below is also a much more winter friendly version to Boden's standard long sleeved breton thanks to the thickness of the fabric. I have this hanging in my wardrobe & just love it! I don't know about you but I couldn't survive winter without at least one chunky polo neck. Perfect for wearing on it's own with boyfriend jeans & trainers or layering over a boyfriend shirt with leather leggings & biker boots. This really is a style & shape that is never going to date. Plus it's also available in black, grey, red & cream. Talking of classics then a cashmere jumper is another great wardrobe staple & whilst crew neck jumpers are great, I particularly love the 'V' neck style as they can be worn on their own, layered over a round neck breton or teamed with a shirt. Plus I love the idea of a more relaxed fit.....I'm thinking distressed boyfriend jeans, trainers & a biker jacket for a cool laid back weekend vibe & it's available in a whole host of colours. Of course it's not going to come as any surprise to you to hear that I think a boucle jacket is a fab wardrobe staple. I have to admit to my heart skipping a tiny beat with this stunner, which also comes in navy. This next coatigan would be perfect for layering. A great classic style that can be worn either belted or undone & you can never go wrong with some classic camel pieces hanging in your wardrobe, although I'm a teeny weeny bit in love with the hot pink version! Fast forwarding a few months & thinking about Christmas then what about this stunning jumpsuit. Perfect for wearing on its own, teaming with a faux fur stole or even a cropped jacket. Mix with different accessories & this really would be the perfect multi-tasking partywear piece. Cropped leg trousers are just so timeless & elegant & perfect for wearing all year round. Simply team with flats, court shoes (& pop socks come the cooler months!) or even ankle boots if you're not brave enough to get the legs out in the depths of winter. Moving onto coats now & a style that's not going anywhere is the parka. Perfect for the school run in the depths of winter or long weekend walks. 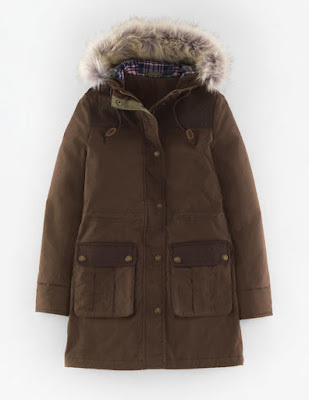 Since adding a parka to my collection I wonder how I ever used to manage without, as seriously a hooded coat when living in the UK has got to be a necessity for our frequent downpours! 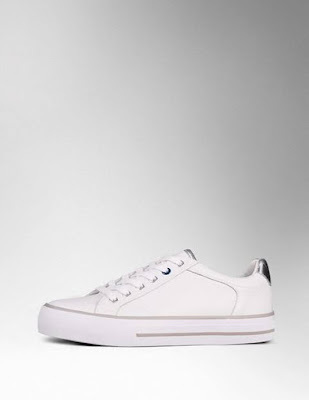 Love, love, love these white trainers! Another item I wonder how on earth I ever used to manage without & also an item my feet are constantly grateful for! 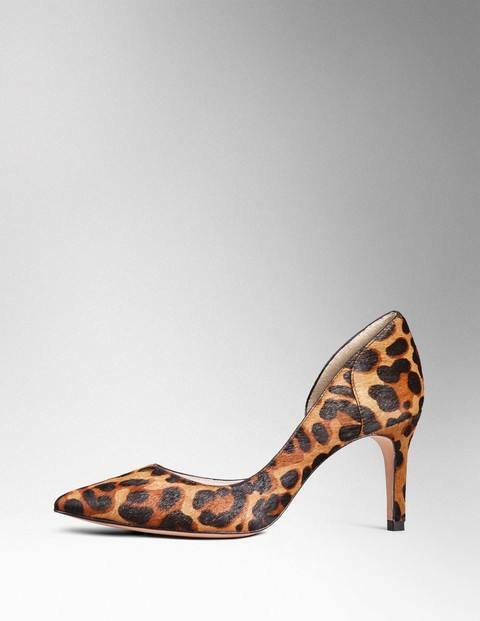 And of course we all know how useful a leopard print pair of courts shoes are. I just love the cut out detailing on this pair - simply stunning. 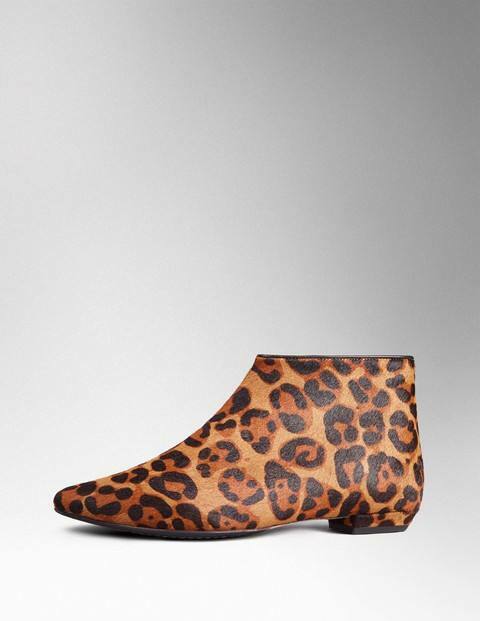 And for everyday well leopard print flat ankle boots - quite simply love, love, love & also available in black or navy too! 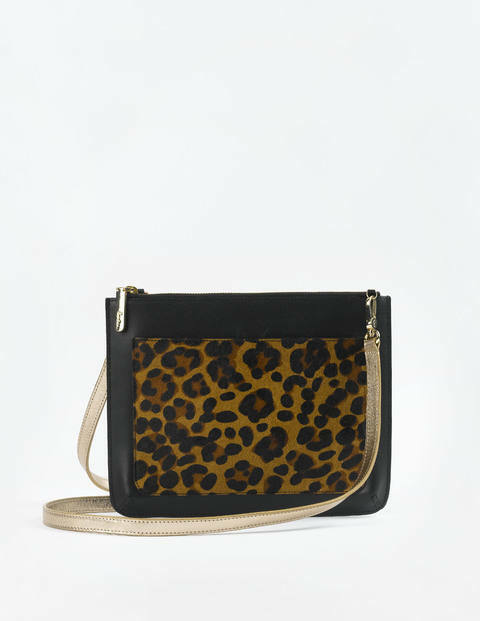 And surely every leopard print shoe deserves a leopard print bag buddy no?!!! Perfect for completing any look. So any guesses what I choose to review?!! Well after much thought I went for the following. Well I'm sure its no surprise that I went for these beauties as whilst I have a pair of fairly high heeled leopard print boots flats are another entity entirely. I don't think I've ever seen a flat pair before (of course I could be wrong but I'm sure most are either high or block heeled) & I just love the shape & style. Perfect for teaming with my collection of skinny jeans not to mention ideal for wearing with a dress or skirt as they fit nice & close to the ankle. Size wise I went for a 40 (I'm generally a UK 6½) & they feel great on & not too tight across my toes due to the point so I'm a very happy bunny indeed & just know I'm going to find these extremely useful. 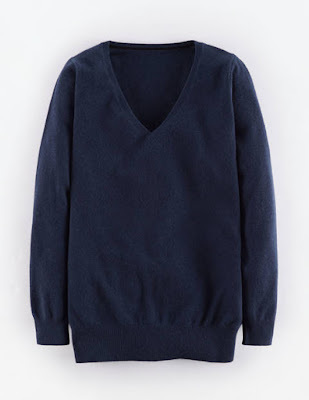 The second item I picked was their relaxed fit 'V' Neck jumper. Having read the reviews online that the sizing was pretty generous I decided to size down & ordered a size 6 so the jumper is loose but in a tailored way if that makes sense. Having chosen the style it was then a tough call as to which colour to pick but I eventually went for navy as it's just such a great staple that's a little less harsh against the skin than black. Hopefully you can see from the pictures below that it's a stunning shade of navy a little bit lighter than you sometimes get & it feels extremely luxurious. In fact I love both pieces so much that I've built today's outfit around them! So what do you think. Have you seen anything to catch your eye? Do you shop Boden for your wardrobe classics or do you prefer their more patterned & colourful pieces? How about my edit do you think I've missed something off that I should of included? As always I love reading your thoughts & comments & don't forget Boden are now offering 25% off everything (excluding their Icons range) plus free delivery & returns click here to get the discount! Have a fab day & see you in the morning. Great picks! I love the denim dress and the cashmere jumper. Have you seen their fairisle jumper? Thanks Alex the denim dress looks beautiful doesn't it - such a great style & pockets too! Yes I've seen they're Fair Isle jumper - such lovely colours but personally for me it's too patterned I think my wardrobe is 95% plain pieces as I personally just find it so much easier to style. Having said that the jumper would be perfect teamed with jeans & bikers for a cosy Sunday look. Oh well in that case Juanita it would be rude not to ;-) Plus red would be perfect for the festive season not to mention snuggly & warm for those dull winter days! I love that wrap blouse. I've just made myself one in a very similar style and can confirm that it's great to wear and can be dressed up or down. Wow Sam how clever are you, I'd love to have the confidence to try & make my own clothes. You can't beat a cross over top for day or evening time. I make a lot of my own clothes Jane, I love being able to wear things that no one else has! Wow I'm very envious Sam, I've not attempted making any clothing since GCSE textiles but I'll have to add it to my every growing things to attempt list....now I just need to magic more time!! The shirt is gorgeous isn't it Natalie & the cashmere is just so soft I want to keep stroking it! As for the boots well it was love at first sight! Thanks Annmarie & like you say I'm incredibly lucky, I just know I'm going to live in both pieces & the wonderful thing is they'll never date so will be worn for years to come too! They really are stunning Michelle, you won't regret it & with 25% off at the moment its the perfect time to get clicking!